Dreaming of taking a fabulous vacation? What if you could combine that awesome getaway with some fresh Spanish learning abroad? Imagine jetting off to a Spanish-speaking country and finally taking that class that propels your learning beyond basic phrases. You’d get to sharpen your fluency, all while exploring local culture, hitting the beach and even going dancing at night! Doesn’t quite sound realistic? Well, the good news is, you can have a vacation and learn Spanish by taking an immersion course! It’s the perfect way to combine your dream vacation with an immersive experience that’ll get you so much closer to fluency. Sure, there are many ways to become fluent in Spanish through self-study without leaving your apartment, but language immersion remains a tried-and-true method to learn Spanish quickly. In this post, we’ll guide you through choosing the best Spanish immersion course for your needs, then direct you to three places where you can find that dream immersive experience. But first, let’s talk about what’s in it for you. You’ll gain fluency better and faster. Have you dreamed of speaking Spanish like a native speaker? A summary of research on immersion shows that children who learn a second language in an immersion environment tend to demonstrate higher levels of proficiency in that language and often learn to speak it confidently and successfully. The even better news is that this also translates to adult learning. One study demonstrated that adults who learned a language in an immersion environment processed the language more like native speakers than those who learned the new language in a traditional classroom environment. Learning Spanish will become a top priority. In a traditional classroom setting, it can be easy for even the most motivated student to revert back to their first language. When you’re in an immersion classroom, though, your only option is to speak in Spanish! If you’re in a Spanish-speaking country, this will translate to the outside world as well. The locals around you will speak Spanish as their first language and you’ll be surrounded by Spanish TV shows, radio stations and magazines. You may even be able to arrange a homestay and live with a family who talks in Spanish with you. Taking an immersion course at home? You’ll still be speaking Spanish several hours a day in class, and you can choose to read and listen to Spanish materials the rest of the day. 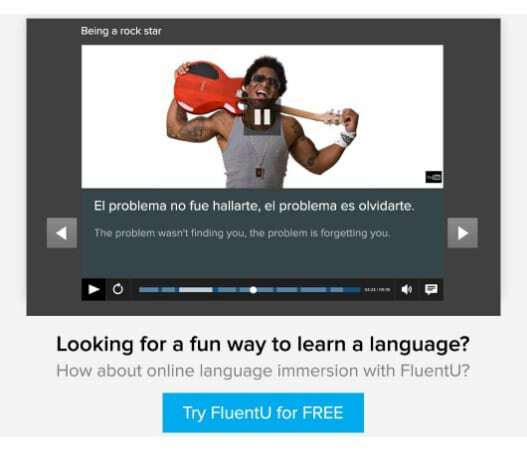 FluentU is an easy way to immerse yourself in Spanish at home. The program takes real-world videos—like music videos, movie trailers, news and inspiring talks—and turns them into personalized language learning lessons. It’s like a really flexible immersion course you can use anytime and anywhere! You’ll learn from your peers as well as your teachers. Classes that don’t use immersion have the teacher as a focal point, and you’ll spend most of the time learning vocabulary, grammar and writing by listening to the teacher’s instruction. With immersion, your entire classroom—and any Spanish speaking you do outside of class—will become a potential Spanish learning experience. Immersion courses dedicate a significant amount of time practicing conversation with your peers. The teacher may be listening in and correcting you, but you and your peers will also be assisting each other in learning the new language. The result is a classroom experience that’s varied and fun! You’ll be more fully immersed in Spanish culture. Your Spanish teachers will likely be local, native speakers who will teach you idioms, appropriate slang and cultural norms in their home country. You’ll not only have a richer learning experience this way, you’re also more likely to remember what you’ve learned when you can tie it into its cultural significance. If you’re learning in your home city, your course will still most likely also cover Spanish culture, and you can bring a bit of Spanish culture into your own home through activities such as cooking Spanish food. If you want to learn Spanish with an immersion course, choosing the right one is crucial. You don’t want to get to your designated location and realize that the course doesn’t suit you. So how do you choose the right course for you? Just answer these four questions, and choose your course accordingly! 1. What is your current level of Spanish? While students of all levels will benefit from full immersion, those who already know at least a little Spanish will have the easiest time at the beginning. Language learner Scott Young suggests Spanish students practice for a minimum of 50 hours before entering a full immersion program. If you’re a complete beginner, you may benefit from a program that includes some English or from taking a few basic lessons before you commit to an immersion course. On the other hand, if you speak advanced-level Spanish, you may be frustrated by a program that includes English, so you should look for complete immersion. 2. How intensive do you want your program to be? Spanish immersion programs vary greatly in how intensive they are. The most intensive will be entirely in Spanish, and may include hours of classes, activities in Spanish and homestays with families who don’t speak any English. A very light program, on the other hand, may be focused on tourism in English with a small number of Spanish immersion classes. Intensive classes will be more work, while a lighter load will seem easier and create more of a vacation environment. However, you won’t learn Spanish as quickly in a program that involves more English. Figure out your priorities and make your choice based on that. 3. Do you prefer a general or specialized immersion program? The majority of Spanish immersion programs are general, meaning that you’ll learn basic, everyday conversational Spanish. However, it’s also possible to learn Spanish specific to your profession or interest. Spanish for business is one popular type of immersion class. For another example, just look at the immersion programs at ACCE Costa Rica for medical professionals, social workers and soccer players. Some schools will even create programs customized to your interests if you bring a group. 4. Would you like an immersion program abroad or close to home? Traditionally, immersion courses take place in places where the language is native for most residents, but it’s also possible to find Spanish immersion classes in countries such as the U.S. and Canada. This is especially the case if you live in an area with a large number of Spanish-speaking immigrants. Spanish immersion courses abroad come with the advantage of it being easier to immerse yourself in the language, because everyone around you is speaking it. That said, not everyone has the time, resources or interest to go abroad, and local immersion programs can be an excellent alternative. If there aren’t programs in your area, you can even take immersion classes online. Online programs bring the same interactive benefits as being in a physical classroom. You can speak live to teachers, participate in conversation and group activities with classmates and even sometimes take part in online live Spanish workshops. 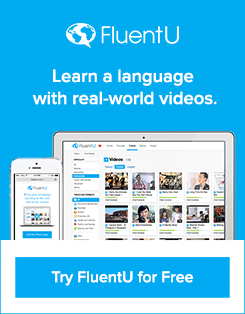 You’ll get fluent in Spanish without leaving your house! For those of you who hope to go abroad to learn Spanish, Go Overseas gives program options and advice. To see the list of programs, hover over the “Programs Abroad” tab and click on “Language Schools” option. From there, you can either search for programs in a specific Spanish-speaking country or for all Spanish-language immersion programs. 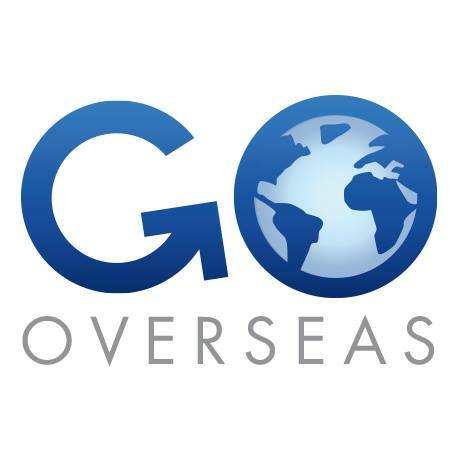 Go Overseas provides a detailed description of each program, including cost and student reviews, and you can even apply for a program right through the website. There’s also a lot of good advice on how to choose a program at this site, such as what course type and country to choose and how to work within your budget. Transitions Abroad contains extensive listings of Spanish immersion programs. Click on the “Study Abroad” tab on the homepage then click on the link “Language Study Abroad.” Unlike Go Overseas, Transitions Abroad only allows you to search by country or region, not language, but its list of programs is longer. 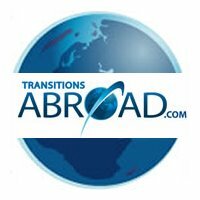 Along with a brief description of each program on the list, Transitions Abroad provides contact information and the website of each program, so you can contact them directly. Another cool feature of the site is the collection of articles from others who’ve studied abroad in the country you’re considering. These can help you know what to expect and be better prepared for it. If you don’t have the time or money to go abroad, or you simply prefer to stay in the United States, this website is for you. It’s not necessarily the most user-friendly of sites, but a great resource if you know where to look. From the homepage, click on the “Programs” tab and scroll down. You’ll find programs listed by U.S. state, as well as a few programs in Mexico, Costa Rica and Colombia. Can’t find anything within driving distance? The same tab also lets you start exploring online immersion programs. All the online programs they list are accredited and may integrate email, instant messaging, audio and visual approaches to learning. As you can see, the possibilities for learning Spanish through immersion are endless. There’s a perfect program out there for everyone! I hope to see some of you on the beach… conjugating verbs with me.